Posted at: 8/20/2010 02:36:00 PM . I would like to start a Making Cents of It Podcast that would include myself and guests discussing different topics related to shopping experiences and saving money. If you are interested in becoming a guest, the podcast would be recorded over the computer so all you would need is a decent microphone, headphones, and internet connection. A quiet place to have an uninterrupted conversation is also necessary. You don't want to bother others while we record and you don't want to have background noise making it hard for listeners to hear us. Participation in the podcast is on a volunteer basis but if you are interested in participating, you could also gain free advertising because you can mention something during the podcast and I would add a link for you on the podcast description to your site and/or product. More guests will lead to better discussions but as the expression goes "too many chefs spoil the soup" so there will be a limit of four guests per episode. The goal is to eventually make the podcast a weekly product but to start off it will be more sporadic as I try to line up guests. Other than a microphone and internet connection, there are no requirements to be a guest. 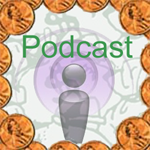 If you are interested, please use the Making Cents of It Podcast Guest Form or email cori@makingcentsofit.com. Earning Money Online - Smart or Scam? If you have additional discussion topic ideas, please feel free to leave them in a comment or just email me.